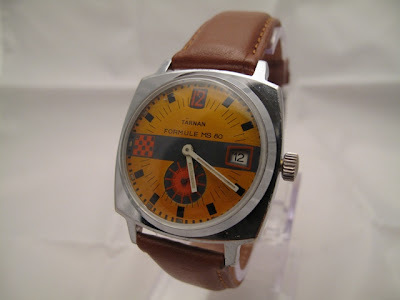 The Tärnan watch that I won at a Swedish auction site did not work when I got it. 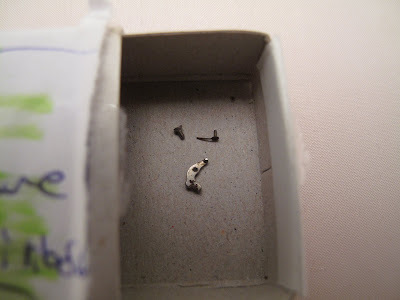 It was obvious that some pieces were missing from the watch as it arrived with a matchbox with pieces in it. The pieces were a small screw (don’t know where it fits), the second hand and a piece from the keyless works (the set lever). 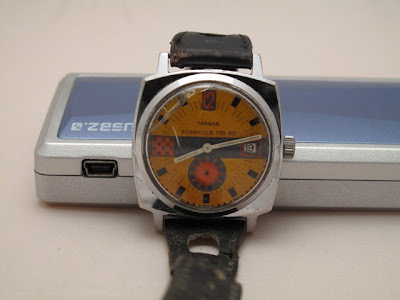 I decided to take the watch apart for ultrasonic cleaning and then oiling and putting it together again. 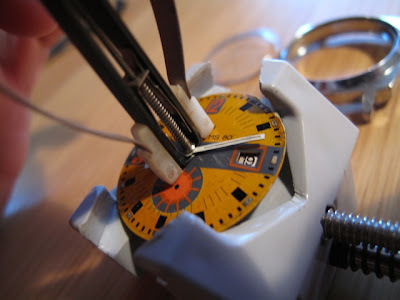 I used a hand remover so that I could remove the dial from the movement. When I was putting the date works together again the spring for the “date wheel click” disappeared in one shot and I had to replace it with a slightly modified one I luckily had as a spare. 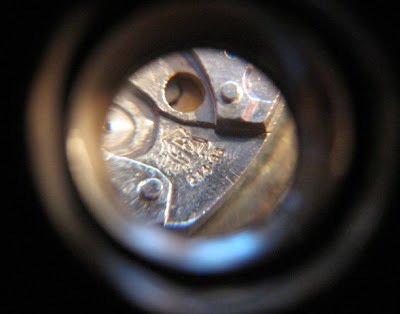 I found the caliber number on the movement; it seemed that it was a France Ebauches, Caliber 233-66, from the sixties. Finally I cleaned the dial up some and replaced the old crystal with a new one. I think the results are pretty good considering that the dial was a bit banged up.